‘Women’s cycling is so much more than lilac and butterflies.’ That thinking is part of the reason we’re fans of The Climbing Cyclist/Hells 500 crew and their Domestique climbs in the Victorian Alps. 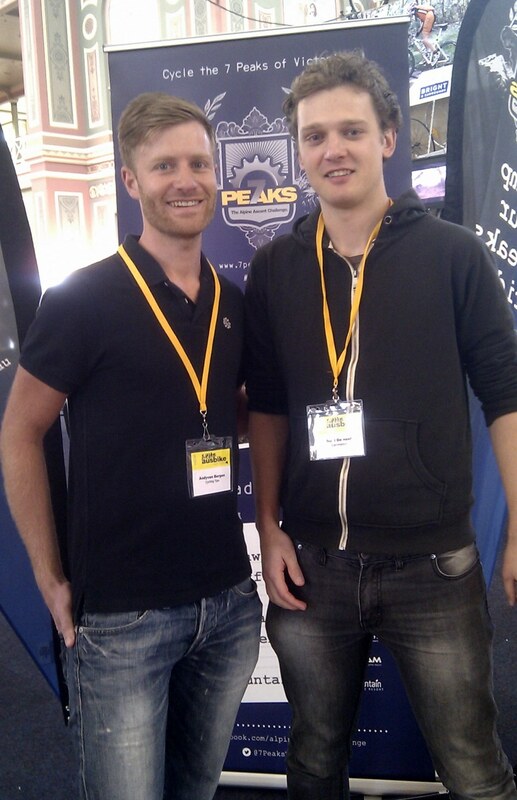 Andy van Bergen of Hells 500 (left) and The Climbing Cyclist Matt de Neef – hoping for 100 women at Lake Mountain. We’re delighted that the Domestique team has saddled up for a second summer, helping riders conquer our biggest climbs as part of the 7 Peaks Alpine Ascent Challenge. The idea is that if you commit to the climb, the TCC/Hells 500 crew will chat, coax and cajole you to the top. And it’s free! And while we claim it’s all for a stamp in our 7 Peaks passport, we also love the camaraderie, quiet roads, stunning views and long descents through the Aussie bush. Life doesn’t get much better. There’s a special goal for the first climb of the series though and it’s one we endorse – seeing 100 women tackle Lake Mountain on Saturday 16 November. The Lake Mountain climb starts at Marysville, a 90 minute drive north east of Melbourne. It’s the easiest of the seven climbs (after a steep start) but even so, be kind to your legs and lungs and climb anything you can in preparation. My favourite training climb is Mt Donna Buang but you can find the climbs nearest you together with accurate descriptions at The Climbing Cyclist. And then draw inspiration from the crazy-hard climbers at Hells 500. Finally, check out the dates and details of the Domestique series and sign up for as many – or as few – as you like here. Let’s make sure the hills are alive with the sound of … 100 women climbing. Hope to see you at Lake Mountain! This entry was posted in Uncategorized and tagged climbing, women's cycling by quaddess. Bookmark the permalink.